I took this picture while vacationing in Cabo San Lucas. Took out some color, left some alone, it’s basically enhanced … Pamela Anderson enhanced. 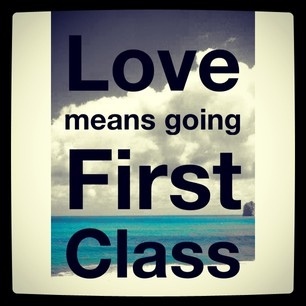 The text “Love Means Going First Class” is my personal motto/mantra. When somebody really loves you, they’ll show it by treating you like royalty. Like only the best.